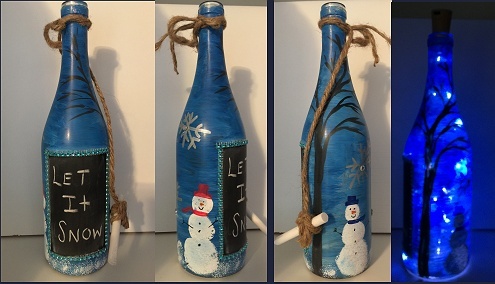 Subject: LongIsland.com - Your Name sent you Event details of "Let It Snow !Paint and Sip Summer Light Up Wine Bottle Event"
Grab your friends-family-that someone special-or come alone for this unique Paint Night Event! Your design will have an optional chalkboard front and snow scene all around. while you enjoy a glass of wine and spread of cheese and crackers!